Vivid Landscape Lighting™ designs and installs beautiful, high-efficient lightscapes for homes, businesses and public spaces. We specialize in high-efficiency LED lamps which protect both the environment and your budget. We recognize that climate and the various other conditions affect the integrity of lighting systems. That’s just one reason why we offer only fully-sealed aluminum and raw copper fixtures preventing the rust or corrosion that can ruin even more expensive systems. Imagine, beautiful lighting with no more costly "re-lamping" - sometimes twice a year! Vivid installations mean for you a quality lighting system, one you’ll have for years to come, without worries. 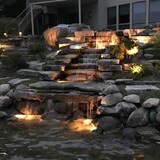 Let us show you how we can dramatically enhance your home and prized landscaping, while providing added home value, comforting safety features, and the serene lightscapes Vivid Landscape Lighting™ will provide you and your neighbors for years to come. 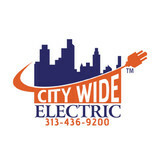 City Wide Electric is a family-owned, full service electrical contractor Located in Dearborn Heights, Michigan we have been providing Quality electrical solutions to residential customers in the Detroit Metropolitan area since 2005. We are fully certified. Our electricians do everything from troubleshooting and repairs, changing out a light switch, installing new lighting fixtures to installing breaker panels and generators for you. With a 100% satisfaction guaranteed on all electrical work we also offer 24/7 Service so you're not left in the dark. We Have Built Our Company On Honesty And Fairness Always Offering Exceptional Service And Quality Work At Affordable Prices. Contact Us for any size job – no matter how small or large!! If you are experiencing any Power Outages or electrical problems such as breakers tripping, light switches or outlets not working. Click here to learn about our troubleshooting service. ADCO Circuits is an electronic contract manufacturing company, providing high quality, surface mount, rapid prototyping, PCB assembly and electronic product design services. Company Overview: ADCO Circuits offers electronic design and circuit board assembly services to aerospace/military, telecommunications, automotive, industrial/commercial, wireless and medical equipment markets. We provide electronic designing, contract manufacturing, rapid prototyping & pcb assembly services in Michigan. We are an ISO 9001 and TS 16949 certified and compliant to AS 9100 and ISO 13485. IB Electric Inc. is a company that has provided professional and comprehensive electrical services (indoor and outdoor) to residential and commercial customers in Detroit, Ann Arbor, Dearborn and surrounding Michigan areas for over a decade. The highly experienced electricians are honest well trained electrician professionals devoted to getting the job done with guaranteed satisfaction. Our customer's satisfaction and their properties safety is our companies' first priority. No job is too little or too big for our company. Whether you need a minor repair for your home that is as little as installing a chandelier to rewiring your entire home for remodeling or repair solutions our company will diligently get the job done. For commercial property, our company provides all electrical services that include but aren't limited to upgrades, installations, repairs, and new construction wiring; from repairing signs and replacing canopy lights to complete wiring of new construction businesses. You can be assured that all electrical services my company provides will successfully meet Michigan's Electrical Code and specific city codes your city may require. You can trust that our company will serve your property with the best electrical service that it deserves. We provide free estimates so Call Us Today! 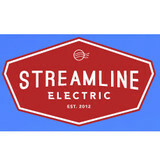 Ion Electric Service LLC is a full service electrical contracting company serving industrial, residential, and commercial customers in the Fowlerville, Lansing, Ann Arbor area. We provide Commercial Electrician Services, Wiring Services, Cellular communications Services and other services for new construction, renovations, tenant improvements, service upgrades, exterior, interior and landscape lighting, retrofits and service installations. 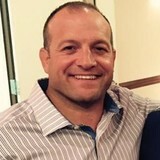 Innovation Electric was founded in 2005 by Jason D. Still. What sets are business apart from other contractors is attention to detail and to hit time lines. We will provide 1st class service with uniformed employees, Marked trucks, and all the proper tools perform a clean job. If you are hunting for the tooling products and don’t know from where to buy don’t worry. Contact Maxxtooling now. We consistently deliver high quality EDM tooling at a fraction of cost to give you the results you are looking for. Since 1989 Bayne Electric, Audio, Video, and Security has been providing our clients with an extraordinary experience. Our mission is for you to have the best of both worlds of high technology systems with ease of operation. Our expertise combined with our enthusiasm guarantees that you will be a satisfied customer. What do licensed Rochester electricians do? An electrical contractor plans, installs and repairs wiring in structures. He or she works closely with the home’s general contractor or remodeling contractor to determine the specific electrical needs for the project and to ensure that the wiring will meet Rochester, MI building codes. An electrical contractor’s job also includes installing and repairing fixtures, switches and other visible components of electrical systems. With today’s technological needs and advances, many electricians in Rochester, MI also are trained to install fiber optic and coaxial cables for electronic equipment. Certain electrical companies may design and install data systems and wire for security features such as alarms too. Some Rochester electrical contractors specialize in specific areas, such as HVAC, low-voltage appliances and systems and more, so be sure to ask about their training to see if it fits your project needs. Find a certified Rochester electrician on Houzz. Narrow your search in the Professionals section of the website to Rochester, MI electrical contractors. Here are some related professionals and vendors to complement the work of electricians: Lighting Showrooms & Sales, General Contractors, Solar Energy Contractors, Heating & Cooling Sales & Repair.